I kept my eyes upward as I watched the Steel Cage start to surround the ring. "Why is the cage dropping?" Cole asked in shock. "Whats going on here!" Jerry yelled. I slowly stood up, looking above me, worry filling my eyes as the cage landed, locking us inside. "Oh no, Gabby don&apos;t turn around," Jerry said in warning. I glanced behind me and right away got nailed with a clothesline that made me flip two times before I landed right on my side. "Oh my God!" Cole yelled at the impact of the clothesline. I groaned in pain as I looked up. That&apos;s when the reason the cage went down dawned on me. I tried to stand, but Batista shoved me back down with a kick. The three men started stomping me anywhere they could find, causing jolts to burst through my body. "Enough of this! This isn&apos;t right!" Jerry screamed. Cheering came from the crowd as the Shield ran down the ramp, Dean in lead, who went straight to the door. "Give me the keys!" he screamed, glancing at me. "I don&apos;t have them!" the ref said fearfully. "Ambrose!" Orton screamed from in the ring. Dean turned towards the ring at Randy. Randy dangled the keys in front of him. "I&apos;ll climb," Seth said as he tried to climb, but Randy ran into the steel, causing Seth to be forced to jump off. Triple H now had me by the hair and was yanking me to my feet. I gritted my teeth in pain as Triple H grabbed my hair and threw me into his back so the only thing holding me up was my hair. Triple H dropped me back on the ground. I tried to attack back, but Triple H clotheslined me again. Triple H pointed to Randy. Randy nodded and grabbed me by the hair, yanking me to my feet before giving me a quick RKO. Dean was gripping the cage now, trying to rip it open. I lifted my head up, but it was only a second before Triple H delivered a pedigree to me. 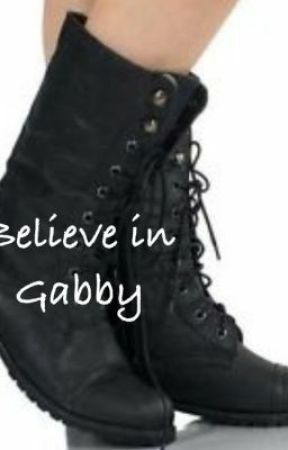 "Gabby doesn&apos;t deserve this! Why isn&apos;t the ref stopping this!" Cole exclaimed. "It&apos;s no DQ, Cole! Anything goes!" JBL exclaimed. I felt someone grab my hair and I gripped their wrist, breathing in pain. Triple H looked straight at Dean before motioning for Batista. Together, they delivered a triple power bomb. Dean now had his head in his hands. Roman was sheathing with anger well Seth tried yanking the door open. Summer slowly got up and smirked at Evolution before crouching down next to me and hooking my legs. Three. As soon as it was done, Summer&apos;s theme came on. I held my stomach in pain as Summer held her hands up. Evolution just smirked down at me. The cage started to lift and Dean ran in underneath it as soon as he fit. Evolution and Summer quickly backed off to the ramp as Seth and Roman joined us. Dean grabbed my head and put it on his lap, "Gabs....."
I blinked up at him once before I blacked out. My eyes flung open and I took a deep breath. My eyes darted back and forth as my deep breathes continued. The first thing I noticed that was I was laying on some kind of bed, blankets covering me. I lifted my head up and instantly sat up. I turned on a lamp, causing the light to engulf the room. I was in a hotel room. I looked around me. Nobody else was there. I shoved the blankets off and slowly stood up. I sat back immediately when my whole body screamed with pain. I looked at the clock. It was 3:23. AM or PM. I willed myself to get up. Every step brought me to cringe, but I made it to the curtains and yanked them open. PM, I decided when I saw the sun shining outside. I kept them open and laid down on the bed again. I couldn&apos;t believe I had been out for that long. Their was one question. Where the hell were the guys? I looked around the room to get a closer look. My suitcase and other bags were in one corner of the room. Another suitcase was next to it. Dean, I thought in relief. My head jerked up as the door open. Dean emerged in the door. He saw me straight away and ran over and gave me a hug, "You&apos;re awake," he breathed. I hugged him back, "What happened to me?" "Evolution," Dean muttered, We brought you to the Doc. Your beat up pretty bad." We both released each other. "I noticed," I whispered, "What all is it?" "Nothing to serious," Dean assured grabbing my hand. I glanced at the clock again, "We need to get to Raw." "Slow down," Dean said well I was getting up, "You just got up." "I know," I muttered, "I need to go to Raw." "Gabby, no," Dean said, "You shouldn&apos;t even come to Raw." I looked at him in disbelief, "Your kidding, right?" "I don&apos;t kid about this stuff," Dean said. "I&apos;m fine, OK. I&apos;m not skipping Raw." "I don&apos;t want another incident to happen," Dean begged. We stared at each other for a while. Our eyes never leaving the others. "Fine," I muttered, crossing my arms. Dean sighed, "OK, well I better go. I&apos;ll be back as soon as possible." I watched him go with narrowed eyes. I waited about ten more minutes before I grabbed my car keys and walked out.